Last week, John Boehner (R-Ohio) easily won re-election as Speaker of the House. Only 25 Republicans defected, with 216 Republicans voting for him. In the days before the election, there was a flurry of emails and activity on social media about the vote, calling on members of Congress to oust Boehner. After the vote, conservative talk show hosts were outraged, denouncing Republicans who voted for him as RINOs and traitors. Even well-loved, conservative members of Congress like Utah’s Mia Love did not escape the anger. Tea Party favorite Trey Gowdy (R-S.C.) missed the vote, but said he would have voted for Boehner. To many, it did not make sense why conservative Republicans would settle for another term of the compromising Boehner, considering Republicans now control both chambers. In Arizona, the most conservative members of the delegation all voted to retain Boehner: Rep. David Schweikert, Rep. Matt Salmon and Rep. Trent Franks. Only Rep. Paul Gosar, who has the lowest American Conservative Union rating of the four, voted against Boehner. Newly elected Republican Rep. Martha McSally of Tucson also voted for Boehner. After the vote, some conservative activists in Arizona started calling Gosar the only true conservative in the delegation. Something wasn’t right. I called Rep. Schweikert to get to the bottom of it. He told me the vote was largely ceremonial. The real decision was made six weeks ago, at the House Republican Conference. After that, it was too late to persuade most members to change their minds, deals had been made. Anyone who agreed to switch their vote after that could not be trusted based on prior experience. South Carolina Rep. Mick Mulvaney confirmed this in a post on his Facebook page. Two years ago, the Boehner opposition collected signed pledges from enough members of Congress to defeat him. But when it came time to vote, almost half of them changed their minds. The last minute flurry of emails came from conservative organizations trying to make money by getting conservatives outraged. While it is important these groups raise money, it was a rather sneaky way to do it. By then, it was too late, it was the wrong battle, and provoked fights with conservative members of Congress that could have been avoided. Conservatives like Schweikert have been trying to remove Boehner for a lot longer than a handful of days last week. He told me he has been working on the ouster for two years. Where was the outcry six weeks ago when the real decision was made? Where were those feigning outrage over the past two years when it came to actually doing the work necessary to get rid of Boehner? One unfortunate byproduct of the rise of social media, blogs and email is the ability for people to send out emotional blasts about a particular topic as their activism of choice. Instead of GOTV (Get Out The Vote), it is now GOYO (Get Out Your Opinion). Activists have replaced the hard, dull but necessary work behind the scenes with speeches. Unfortunately, there is only so much room at the top for a few national talk show hosts to bloviate. Replacing Boehner is much more difficult and complex than a last-minute outburst. Getting better leadership is not going to be accomplished with a short and catchy soundbite. It is a deeper, two-fold systemic problem. The first part of the problem is that no one wants to be Speaker. What most people don’t realize is the primary job of the Speaker is fundraising. The Speaker spends nearly all of their time flying around the country working pricey fundraisers. Most of the names floated around at the last minute as replacements for Boehner could not – or would not – follow through here. Last year, Boehner raised an impressive $100 million. Rep. Mulvaney noted that Gohmert was not a realistic candidate; despite all the media attention he only received three votes. Rep. Daniel Webster (R-Fla.) got 12 votes, but has a terrible voting record, evenworse than Boehner’s. Boehner is actually the most conservative Republican speaker in 50 years. Many in the grassroots complain when the NRCC doesn’t spend money on long-shot races. What they don’t understand is there is only limited money to go around, and it is dependent upon the ability of the Speaker to raise it. Unless the grassroots is willing to start writing hefty checks, it is imperative that the Speaker is someone with charisma who doesn’t mind spending a significant period of their life on an airplane. The second systemic problem is Congress has become so corrupt it is currently impossible to reform it. Senior members of Congress are so entrenched in leadership positions, as chairs of committees and subcommittees, that these “cardinals” retaliate against anyone who dares to challenge the status quo and power structure. 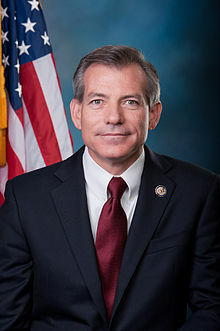 A conservative reformer like Schweikert, who actually would make an excellent Speaker, has no chance at the position because he stood up to the old guard. He lost his position on the powerful Financial Services Committee because he bucked party leadership and voted against a debt ceiling increase. Sadly, new reformers like Schweikert tend to become disillusioned over time, and eventually leave office. If they can hold out, however, eventually the old guard will age out of office. It was futile to cast a protest vote for someone other than Boehner. It simply enlarged the target on the backs of reform members of Congress. Several who opposed him, including Daniel Webster and Richard Nugent, both of Florida, were immediately stripped of their committee positions, and there are more on the chopping block. Contrary to talk-show hype, the vote for Speaker did not juxtapose conservatives vs. leadership. It should be more accurately described as emblematic of the reformers vs. the establishment cardinals. Schweikert may be the smartest member of Congress. He’s also consistently labeled one of the five most conservative members by various organizations, with a 98.67 lifetime rating from the American Conservative Union. To label him a RINO over one vote, while letting other Republicans off the hook with much lower scores simply because they did not vote for Boehner, is illogical. Reforming Congress is like a game of chess. You can’t take out the king instantly, you must set the stage first to take out the king or you will be out of the game. Those who run for office know you rarely win by running for president first, you must first win at a lower level office. Naturally, the same is true for taking out the Speaker, what is so difficult to understand about this? You must chip away the power structure supporting him before you can topple him. Instead of blasting conservative members of Congress over Boehner, activists should set up meetings with these reformers and ask how they can help with the day-to-day work of cleaning up Congress. It may not be flashy and glamorous, but the flashy and glamorous GOYO approach is not working. Stop being played.